There is parking both at the front of the hospital (for 90 minutes) or at the back of the hospital. There is a drop off area at the front door of the hospital. 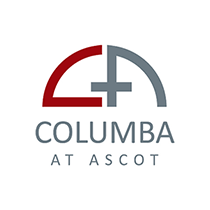 Columba at Ascot appreciate any feedback our patients would care to pass on. Please print this “feedback form” and you can either leave it with any of our staff or post back to us at PO Box 28-467, Remuera. If for any reason you have been unhappy with the service or care you have received from us – you can view our “complaints procedure” here.